When a newborn baby falls sick, he requires intensive care. 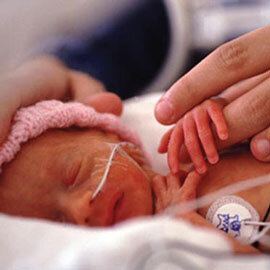 To handle such critical situations, Dr Jivraj Mehta Smarak Health Foundation (Dr Jivraj Mehta Hospital) has a special ICU for babies – the Neonatal Intensive Care Unit (NICU). The unit is designed in such a way that the baby feels most comfortable. Environmental disturbances like light, noise, etc are minimised to make the baby feel as if he is still in the mother’s womb.